For other people named James Brooke, see James Brooke (disambiguation). Sir James Brooke, Rajah[note] of Sarawak, KCB (29 April 1803 – 11 June 1868), was a Briton born and raised under the Company Raj in NE India, who became the first White Rajah of Sarawak in Borneo. After a few years of education in England, he served in the Bengal Army, was wounded, and resigned his commission. He bought a ship and sailed out to the Malay Archipelago where, by helping to crush a rebellion, he became governor of Sarawak. He then vigorously suppressed piracy in the region and, in the ensuing turmoil, restored the Sultan of Brunei to his throne, for which the Sultan made Brooke the Rajah of Sarawak. He ruled until his death. Brooke was not without detractors and was criticised in the British Parliament and officially investigated in Singapore for his anti-piracy measures. He was, however, honoured in London for his work. The naturalist Alfred Russel Wallace was one of many visitors whose published work spoke of his hospitality and achievements. His final years were spent quietly in England. Brooke was born in Bandel, near Calcutta, Bengal, but was baptised in Secrole, a suburb of Benares. His father, Thomas Brooke, was an English Judge Court of Appeal at Bareilly, British India; his mother, Anna Maria, born in Hertfordshire, was the daughter of Scottish peer Colonel William Stuart, 9th Lord Blantyre, and his mistress Harriott Teasdale. Brooke stayed at home in India until he was sent, aged 12, to England and a brief education at Norwich School from which he ran away. Some home tutoring followed in Bath before he returned to India in 1819 as an ensign in the Bengal Army of the British East India Company. He saw action in Assam during the First Anglo-Burmese War until seriously wounded in 1825, and sent to England for recovery. In 1830, he arrived back in Madras but was too late to rejoin his unit, and resigned his commission. He remained in the ship he had travelled out in, the Castle Huntley, and returned home via China. Brooke attempted to trade in the Far East, but was not successful. In 1833 he inherited £30,000, which he used as capital to purchase a 142-ton schooner, Royalist. Setting sail for Borneo in 1838, he arrived in Kuching in August to find the settlement facing an uprising against the Sultan of Brunei. Greatly impressed with the Malay Archipelago, in Sarawak he met the sultan's uncle, Pangeran Muda Hashim, to whom he gave assistance in crushing the rebellion, thereby winning the gratitude of the Sultan, who in 1841 offered Brooke the governorship of Sarawak in return for his help. Rajah Brooke was highly successful in suppressing the widespread piracy of the region. However, some Malay nobles in Brunei, unhappy over Brooke's measures against piracy, arranged for the murder of Muda Hashim and his followers. Brooke, with assistance from a unit of Britain's China Squadron, took over Brunei and restored its sultan to the throne. 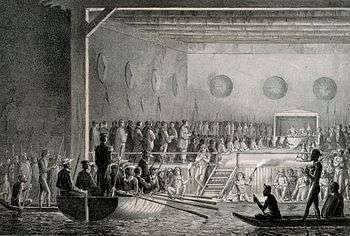 James Brooke negotiating with the Sultan of Brunei, which led to the signing of the Treaty of Labuan between the Brunei sultanate and the British delegation on 18 December 1846 at the Brunei palace, in which Labuan was ceded to Great Britain. In 1846 Brooke presented the island of Labuan to the British government. He was appointed governor and commander-in-chief of Labuan. In 1842 Sultan Omar Ali Saifuddien II ceded complete sovereignty of Sarawak to Brooke. He was granted the title of Rajah of Sarawak on 24 September 1841, although the official declaration was not made until 18 August 1842. During his reign, Brooke began to establish and cement his rule over Sarawak: reforming the administration, codifying laws and fighting piracy, which proved to be an ongoing issue throughout his rule. Brooke returned temporarily to England in 1847, where he was given the Freedom of the City of London, appointed British consul-general in Borneo and was created a Knight Commander of the Order of the Bath (KCB). Brooke became the centre of controversy in 1851 when accusations against him of excessive use of force against natives, under the guise of anti-piracy operations, ultimately led to the appointment of a Commission of Inquiry in Singapore in 1854. After investigation, the Commission dismissed the charges but the accusations continued to haunt him. Brooke met the naturalist Alfred Russel Wallace in England around 1852 or 1853, because he wrote to Wallace on leaving England in April 1853, "to assure Wallace that he would be very glad to see him at Sarawak." This was an invitation that helped Wallace decide on the Malay Archipelago for his next expedition, an expedition that lasted for eight years and established him as one of the foremost Victorian intellectuals and naturalists of the time. When Wallace arrived in Singapore in September 1854, he found Rajah Brooke "reluctantly preparing to give evidence to the special commission set up to investigate his controversial anti-piracy activities." During his rule, Brooke faced threats from Sarawak warriors like Sharif Masahor and Rentap, and an uprising by Chinese miners in 1857, but remained in power. Brooke ruled Sarawak until his death in 1868, following three strokes over ten years. All three White Rajahs are buried in St Leonard's Church in the village of Sheepstor on Dartmoor. Having no legitimate children, in 1861 he formally named Captain John Brooke Johnson-Brooke, his sister's eldest son, as his successor. Two years later, the Rajah reacted to criticism by returning to the east: after a brief meeting in Singapore John was deposed and banished from Sarawak. James increased the charges to treasonous conduct and later named John's younger brother, Charles Anthoni Johnson Brooke, as successor. Brooke was influenced by the success of previous British adventurers and the exploits of the British East India Company. His actions in Sarawak were directed to both expanding the British Empire and the benefits of its rule, assisting the local people by fighting piracy and slavery, and securing his own personal wealth to further these activities. His own abilities, and those of his successors, provided Sarawak with excellent leadership and wealth generation during difficult times, and resulted in both fame and notoriety in some circles. His appointment as Rajah by the Sultan, and his subsequent knighthood, is evidence that his efforts were widely applauded in both Sarawak and British society. Among his alleged relationships was the one with Badruddin, a Sarawak prince, of whom he wrote, "my love for him was deeper than anyone I knew." This phrase led to some considering him to be either homosexual or bisexual. Later, in 1848, Brooke is alleged to have formed a relationship with 16‑year‑old Charles T. C. Grant, grandson of the seventh Earl of Elgin, who supposedly 'reciprocated'. Whether this relationship was purely a friendship or otherwise has not been fully revealed. One of Brooke's recent biographers wrote that as Brooke spent his final years in Burrator in Devon "there is little doubt ... he was carnally involved with the rough trade of Totnes." However, Barley does not note from where he garnered his opinion. Others have suggested Brooke was instead "homo-social" and simply preferred the social company of other men and have disagreed with assertions he was a homosexual. Although he died unmarried, he did acknowledge one son. Neither the identity of the son's mother nor his birth date is clear. This son was brought up as Reuben G. Walker in the Brighton household of Frances Walker (1841 and 1851 census, apparently born ca. 1836). By 1858 he was aware of his Brooke connection and by 1871 he is on the census at the parish of Plumtree, Nottinghamshire as "George Brooke", age "40", birthplace "Sarawak, Borneo". He was married (in 1862) and had seven children, three of whom survived their infancy; the oldest was called James. George died travelling to Australia, in the wreck of the SS British Admiral on 23 May 1874. A memorial to this effect – giving a birthdate of 1834 – is in the churchyard at Plumtree. James Brooke was 'a great admirer' of the novels of Jane Austen, and would 'read them and re-read them', including aloud to his companions in Sarawak. Fictionalised accounts of Brooke's exploits in Sarawak are given in Kalimantaan by C. S. Godshalk and The White Rajah by Nicholas Monsarrat. Another book, also called The White Rajah by Tom Williams was published by JMS Books in 2010. Brooke is also featured in Flashman's Lady, the 6th book in George MacDonald Fraser's meticulously researched The Flashman Papers novels; and in Sandokan: The Pirates of Malaysia (I pirati della Malesia), the second novel in Emilio Salgari's Sandokan series. Brooke was also a model for the hero of Joseph Conrad's novel Lord Jim, and he is briefly mentioned in Kipling's short story "The Man Who Would Be King". Charles Kingsley dedicated the novel Westward Ho! (1855) to Brooke. Errol Flynn intended to star on a film on Brooke's life called The White Rajah for Warner Bros., based on a script by Flynn himself. However although the project was announced for filming it was never made. In 1857, the native village of Newash in Grey County, Ontario, Canada, was renamed Brooke and the adjacent township was named Sarawak by William Coutts Keppel (known as Viscount Bury, later the 7th Earl of Albemarle) who was Superintendent of Indian Affairs in Canada. James Brooke was a close friend of Viscount Bury's uncle, Henry Keppel; they had met in 1843 while fighting pirates off the coast of Borneo. Townships to the northwest of Sarawak were named Keppel and Albemarle. In 2001, Sarawak and Keppel became part of the township of Georgian Bluffs; Albemarle had joined the town of South Bruce Peninsula in 1999. Keppel-Sarawak School is located in Owen Sound, Ontario. The municipality of Brooke's Point, a major municipality on the island of Palawan, Philippines, is named after him. Both Brooke's Lighthouse and Brooke's Port, historical landmarks in Brooke’s Point, are believed to have been constructed by Sir James Brooke. Today, owing to erosion and the constant movement of the tides, only a few stones can still be seen at the Port. The remnants of the original lighthouse tower are still visible, although the area is now occupied by a new lighthouse. a.^ The term Rajah reflects traditional usage in Sarawak and English writing, although Raja may be better orthography in Malay. ↑ Calcutta Monthly Journal, May 1803, p.158, "Bengal Births..At Bandel, on the 29th ultimo, the Lady of T.Brooke, Esq. of a Son"
↑ James, Lawrence (1997) . The Rise and Fall of the British Empire. 175 Fifth Avenue, New York, N.Y. 10010: St. Martin's Griffin. pp. 244–245. ISBN 0-312-16985-X. ↑ Rozan Yunos (7 September 2008). "Loss of Labuan, a former Brunei island". The Brunei Times. Archived from the original on 28 April 2014. Retrieved 29 April 2014. ↑ Stephen R. Evans; Abdul Rahman Zainal; Rod Wong Khet Ngee (1996). The History of Labuan Island (Victoria Island) (PDF). Calendar Print Pte Ltd. ISBN 981-00-7764-5. ↑ "index". 4dw.net. Retrieved 6 February 2013. ↑ "British Admiral wreck". Kingisland.net.au. Retrieved 6 February 2013. ↑ "September 2005 Meeting Report ~ Keyworth Local History Society". Keyworth-history.org.uk. Retrieved 6 February 2013. ↑ NEWS OF THE SCREEN: GABLE AND SHEARER FOR 'PRIDE OR PREJUDICE' – HAWAIIAN SETTING FOR BING CROSBY FILM. New York Times (1923–Current file) [New York, N.Y] 1 September 1936: 24. ↑ Marsh, Edith L. A History of the County of Grey. Owen Sound, Ont. : Fleming, 1931, pp. 210-211. ↑ Jacob, Gertrude L. The Raja of Saráwak: An Account of Sir James Brooke. London: Macmillan, 1876, vol. 1, ch. XIII. Barley, Nigel (2002), White Rajah, Time Warner: London. ISBN 978-0-316-85920-2. Cavendish, Richard, "Birth of Sir James Brooke", History Today. April 2003, Vol. 53, Issue 4. Jacob, Gertrude Le Grand. The Raja of Saráwak: An Account of Sir James Brooks. K. C. B., LL. D., Given Chiefly Through Letters and Journals. London: MacMillan, 1876. Rutter, Owen (ed) Rajah Brooke & Baroness Burdett Coutts. Consisting of the letters from Sir James Brooke to Miss Angela, afterwards Baroness, Burdett Coutts 1935. Wason, Charles William. The Annual Register: A Review of Public Events at Home and Abroad for the Year 1868. London: Rivingtons, Waterloo Place, 1869. pp. 162–163. 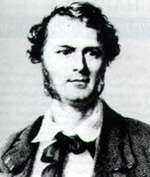 Wikimedia Commons has media related to James Brooke, Rajah of Sarawak. Hahn, Emily (1953) James Brooke of Sarawak, London, Arthur Barker. Ingleson, John (1979) Expanding the empire: James Brooke and the Sarawak lobby, 1839–1868, Nedlands, W.A. : Centre for South and Southeast Asian Studies, University of Western Australia. Payne, Robert (1960) The White Rajahs of Sarawak, Robert Hale. Pybus, Cassandra (1996) 'White Rajah: A Dynastic Intrigue' University of Queensland Press. Runciman, Steve (1960) The White Rajahs: A History of Sarawak from 1841 to 1946, Cambridge University Press. Tarling, Nicholas (1982) The burthen, the risk, and the glory: a biography of Sir James Brooke, Kuala Lumpur; New York: Oxford University Press.